Discover the Kingdom of the Giant Redwood Trees in the Redwood National Park. Travel to Northern California and discover hidden natural wonders, majestic and ancient forests of massive redwood trees. Because of the remoteness of this tranquil and beautiful gem, most of visitors don’t venture that far north. Redwood National Park and State Parks are a must-see while visiting Northern California and San Francisco Bay Area. 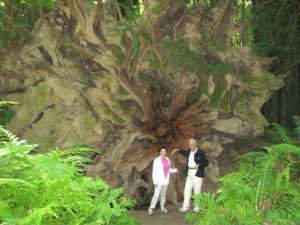 It is truly an outstanding experience to add on your bucket list of things to see in California, because these magnificent redwood trees are so extraordinary in size and presence that you must see it with your own eyes to believe it! 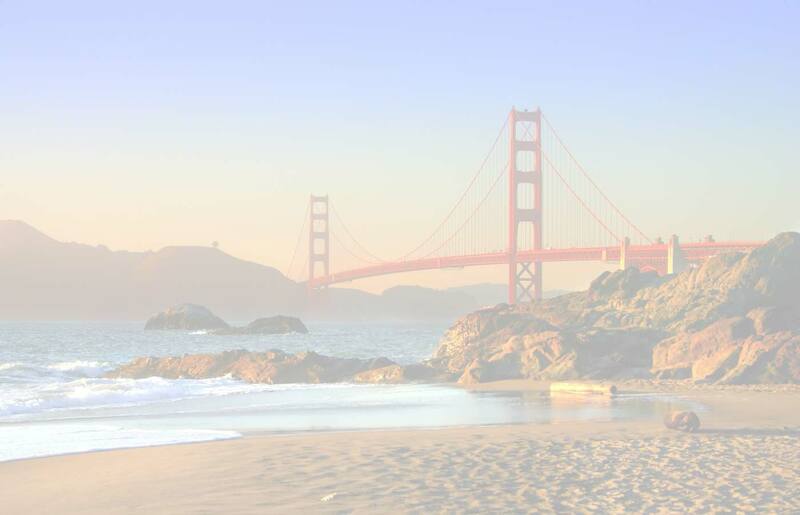 Travel to California Redwood Country and drive you along the near-empty winding and scenic roads of the ‘Wild West’ which is bordered by stunning sceneries of rivers, hanging cliffs, hidden beaches, stunning ocean coastline and picturesque meadows. Roosevelt Elk often stand beside the road or in hidden meadows. Drive through giant trees through which tunnels were carved to allow vehicles to pass through – a unique experience unavailable anywhere else in the world! Did you know that certain scenes in the movies ‘Lost World in Jurassic Park’ and ‘Star Wars’ Return of the Jedi’ were filmed at the Redwood National Park? The location scouts for these movies fell in love with the natural landscape and the ambiance of timeless and utter peace of the park and were sure to include it in these movies. Climb on one of the fallen redwood trees and imagine that you are a small Ewok scuttling home through scattered sunbeams. Stand beside a fallen giant tree just to see the 12″ bark peeling away and imagine using this bark to build your home as the Native Americans once did. Today, these giant trees can only be seen in the northern parts and when you’re here you will be able to experience the surrounding ancient and pristine vegetation and wildlife. Find the right expert and passionate tour guides, a reliable and certified tour company to take there all included, this piece of mind is important so you don’t waste your time looking for this or that hidden site. 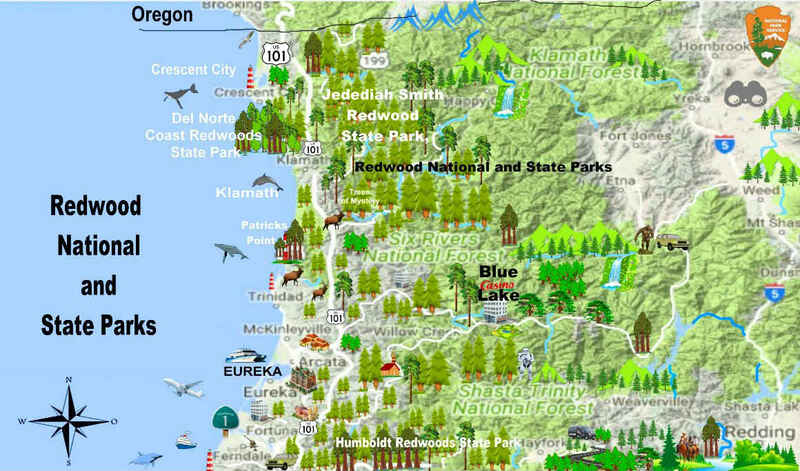 The Story of Redwood National and State Parks (RNSP). Redwood National and State Parks are divided into four major parks Redwood National Park (established in 1968) and California’s Del Norte Coast, Jedediah Smith, and Prairie Creek Redwoods State Parks (dating from the 1920s), the combined RNSP contain 139,000 acres (560 km2). Located entirely within Del Norte and Humboldt Counties, the four parks, together, protect 45% of all remaining coast redwood (Sequoia sempervirens) old-growth forests, totaling at least 38,982 acres (157.75 km2). These trees are the tallest and one of the most massive tree species on Earth. In addition to the redwood forests, Redwood National and State Parks are a string of protected forests, beaches and grasslands prairies along Northern California’s coast and interesting indigenous flora, fauna. In 1850, old-growth redwood forest covered more than 2,000,000 acres (8,100 km2) of the California coast. The northern portion of that area, originally inhabited by Native Americans(Yurok, Tolowa, Karok, Chilula, and Wiyot), attracted many lumbermen and others turned gold miners when a minor gold rush brought them to the region. Failing in efforts to strike it rich in gold, these men turned toward harvesting the giant trees for booming development in San Francisco and other places on the West Coast. After many decades of unrestricted clear-cut logging, serious efforts toward conservation began. By the 1920s the work of the Save-the-Redwoods League, founded in 1918 to preserve remaining old-growth redwoods, resulted in the establishment of Prairie Creek, Del Norte Coast, and Jedediah Smith Redwoods State Parks among others. Redwood National Park was created in 1968, by which time nearly 90% of the original redwood trees had been logged. The National Park Service (NPS) and the California Department of Parks and Recreation (CDPR) administratively combined Redwood National Park with the three abutting Redwood State Parks in 1994 for the purpose of cooperative forest management and stabilization of forests and watersheds as a single unit. Today, most of visitors who travel to northern California to hike, walk and see the redwoods; home to the tallest trees on earth. These parks also protect vast wild prairies, oak woodlands, amazing varieties of conifers like Douglas fir, Oak, Cedar, Buckeye, Bay Laurel, Maple, wild riverways, and nearly 40 miles of rugged coastline. For thousands of years people have lived in this verdant and primitive landscape. Together, the National Park Service and California State Parks manage these lands for the inspiration, enjoyment, and education of all. 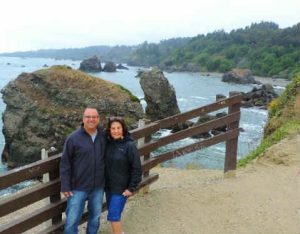 Visit Patrick’s Point State Park and Beach, located 26-miles north of Eureka in the heart of coastal redwood country. Marvel at the dramatic shoreline of broad sandy beaches and towering cliffs that rise high above the Pacific Ocean. Popular activities here include strolling along the wide beaches and exploring tide pools, searching for driftwood, and spotting whales and sea lions. Short, steep hikes take visitors to the tops of Ceremonial Rock and Lookout Rock, while coastal hikes will take you to Wedding Rock and Patrick’s Point, offering breathtaking ocean vistas. 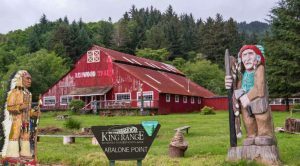 History buffs will enjoy the re-created Yurok Village with its traditional Native American family houses, sweat lodge, changing houses, redwood canoe and dance house. Admire picturesque Trinidad State Beach and Moonstone natural wonder as you travel through this wild and remote coast. The Elk Meadow is part of the larger complex of Redwood National and State Parks, spanning Del Norte and Humboldt counties. The region includes nearly 44,000 acres of old-growth redwood forest and 37 miles of pristine coastline. One of the largest Roosevelt elk herds in California is seen at this park in wooded areas, or along certain stretches of beach. They are most commonly found in open grasslands and though they may appear tame from afar, they can turn aggressive if they feel threatened. Let your guide drive you to a location where you can see them at a safe distance. The Roosevelt elk, named after former U.S. President Theodore Roosevelt, is the largest type of elk found in North America. At one time, they were nearly extinct — by 1925 the California population had dropped to as few as 15. Thanks to successful conservation efforts, thousands of them now live along the coast from Humboldt County north to Vancouver. 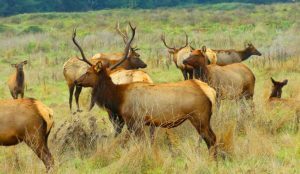 Herds of wild Roosevelt elk can easily be observed grazing and resting in Redwood National and State Parks. Prairie Creek Redwoods State Park is adjacent to Del Norte Coast Redwoods State Park, another of the three State Parks that are federally managed and preserved. 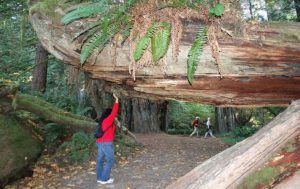 This park was established in 1927, spans 6,400 acres, and includes 50% of old-growth coast redwood trees. The park was designed as a World Heritage Site and Biosphere Preserve by the United Nations in the 1980s. In 2007, Mill Creek was added to Del Norte Coast Redwoods State Park and increased its size by 25,000 acres. This makes Del Norte Park the fifth largest in the State Park system. In 2008, former Governor Arnold Schwarzenegger proposed closing this park due to the state deficit. Fortunately, it was rescinded following public outcry. President Teddy Roosevelt and John Muir stood firmly and courageously against lobbies and business interests to declare the ancient trees national monuments in 1906. 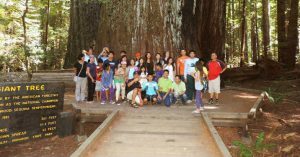 Jedediah Smith Redwoods State Park – This grove was established in 1929, it was named after a fur trapper who visited during an 1826 expedition to the area 10 miles east of Crescent City. 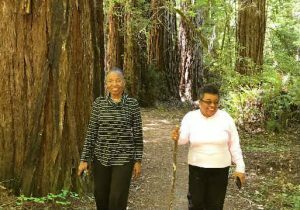 It has several hiking trails including Reed Discovery and Stout Grove. Stout Grove, near Howland Hill Road is home to ‘Stout Tree’, the largest in the park. Not far from Stout Tree, lies Mill Creek, which flows through the park and merges with Smith River near a campground. This stunning park requires a full-day guided tour to see everything it has to offer, and may even require an additional tour day. 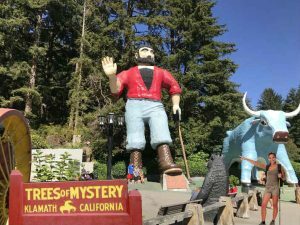 The ‘Trees of Mystery’ – a roadside attraction 39 miles south of the Oregon border with towering redwoods and unique tree formations and more than 50 sculptures and carvings illustrating imaginative stories of Paul Bunyan. It is best known for its 49-foot-tall statue of Paul Bunyan and 35-foot-tall Babe the Blue Ox. The Sky Trail (aerial tramway) is a scenic ride that takes visitors above the forest canopy for a spectacular overlook inside the ‘Trees of Mystery Forest’. At the end of the trail you will arrive at the Native American Museum, one of the very best privately-owned collections of Native American artifacts in the world. You may also explore on a jet boat (seasonal/optional) in Klamath River, where you may see wildlife including elk, sea lions, and even bears. Check our tour itinerary for more information about the sights, attractions, and parks you may visit on this three-day custom tour. After an exciting second day of the three-day adventure, your guide will drive you back to your hotel. 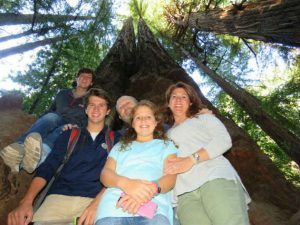 Visit Rockefeller Forest of Giant Redwoods – Tucked away off Highway 101 major attractions, this grove is filled with redwood trees occupying 10,000 acres of land. You can stop here to take a hike or an easy stroll with your guide as you view the second, fourth, and sixth tallest redwood trees standing today, seeing why this is called Avenue of the Giants. 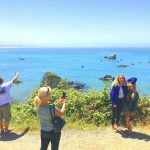 On the drive back to San Francisco, you will also visit Eel River and small towns of Phillipsville, Miranda, Myers Flat, Burlington, Weott, Englewood, Redcrest, and Pepperwood. Your tour guide will let you know as you pass each one. Jedediah Smith Redwoods State Natural Reserve contains the beautiful Frank and Bess Smith Grove of Redwoods. The site was formerly a private resort and features a 60-foot waterfall, picnic area, fishing, and swimming in the south fork of Eel River (this is optional and will depend on how much time is left). 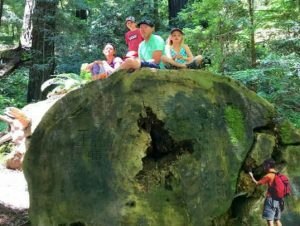 Jedediah Smith Redwoods State Park has trails through dense old-growth woods. Prairie Creek Redwoods State Park is home to Fern Canyon, with its high, plant-covered walls. Roosevelt elk frequent nearby Elk Prairie. Giant redwood clusters include Redwood National Park’s Lady Bird Johnson Grove. Travel Newton B. Drury Scenic Parkway. You may also travel to Newton B. Drury Scenic Parkway, a 10-mile scenic drive through redwood trees. Stop and walk one-eighth of a mile to Big Massive Tree, or look out for Roosevelt elk grazing in Prairie Creek. Beware of adult elk: They are as big as horses and capable of causing great harm as they can be aggressive and dangerous when they feel threatened. This road is similar to Avenue of the Giant but far more spectacular. Discover Howland Hill Road a 10-mile scenic drive through old-growth redwoods, along Mill Creek, with Stout Grove a ½-mile walk through a river bottom grove of tremendous trees. Explore Enderts Beach and Crescent Beach Overlook. Stand before outstanding Pacific Ocean views from the overlook; you may even see a gray whale! Walk 1-mile to Enderts Beach, an access route to multi-colored, myriad tidepool creatures. Be sure to check low tide times. Get off the beaten path and onto Coastal Drive (motorhomes and trailers are prohibited on gravel section). This 8-mile road winds past expansive Pacific Ocean views, the World War II Radar Station, and High Bluff Overlook. Look through binoculars at the massive off shore rocks to spy thousands of seabirds nesting. Be sure to stop at Kuchel Visitor Center one mile south of Orick. This is the parks largest visitor center with numerous exhibits, a 12-minute video, and beach access. Hollywood filming location in Redwoods. The park has served as a filming location for numerous films. 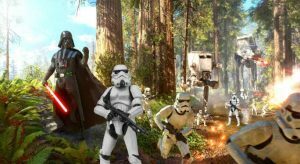 Scenes set on the forest moon Endor in Star Wars Episode VI: Return of the Jedi, were filmed in the Tall Trees Redwood Grove in the northern part of Humboldt County, though the majority of filming was in private and public forests near the town of Smith River, California. 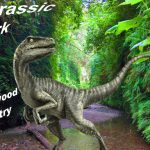 Scenes for The Lost World: Jurassic Park, as well as the movie Outbreak, were filmed at the nearby Prairie Creek Redwoods State Park and at Patrick’s Point State Park. Also, about a third of the science fiction movie ‘After Earth’, starring Will Smith and his son, Jaden, was filmed in Humboldt Redwoods State Park in Northern California. Moonstone Beach County Park is a beautiful beach along Scenic drive near Trinidad located at the north side of the Little River mouth near Trinidad. 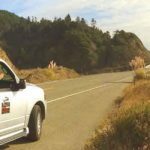 Moonstone road is an off the beaten path scenic drive that leads to a hidden Beach, it offers a sweeping overlook of the Pacific Ocean, stunning vistas, picnic area and trail down to the beach. This is a spectacular rocky cove with tidepools and wildlife. Be aware of the tide and avoid becoming stranded. The beach is popular with surfers and also with families who can swim safely in the slow river current. It’s a picturesque beach with rocks and larger sea stacks poking up out of the surf. The large two-humped rock island known as Camel Rock is visible to the north. At the north end of Moonstone Beach are some hidden caves to explore at lower tides. South of the river mouth is Little River State Beach. Follow this scenic windy road until you see a sign for Moonstone Grill & Beach Restaurant. Relax with a cocktail before dinner from the Moonstone Grill’s full bar with Window tables afford unobstructed 180-degree sunset views, then dine on one of their seafood dishes like Maine lobster, pan-seared California red abalone medallions, crab cakes, Filet Mignon, duck or the daily special. 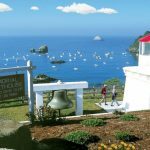 The Trinidad Memorial Lighthouse is a 25’ concrete replica of the original lighthouse on the tip of Trinidad Head. It was built in 1949 by the Trinidad Civic Club as a memorial to those lost or buried at sea. Special services are held every Memorial Day weekend by the Trinidad Civic Club. Fern Canyon is a picturesque canyon situated off the beaten path in the Prairie Creek Redwoods State Park in Humboldt County. The road is rough, dusty, and uneven so be prepared. For hikers, Fern Canyon Loop Trail is a 1 mile moderately trafficked loop trail that features a waterfall and is good for all skill levels. Many visitors take the gentle walk to Fern Canyon, which was used as a backdrop for the movie ‘Jurassic Park 2: The Lost World’. Crescent City was Named for the crescent-shaped stretch of sandy beach south of the city. The city is the site of the Redwood National Park headquarters, as well as the historic Battery Point Light. Due to the richness of the local Pacific Ocean waters and the related catch, and ease of access, Crescent City Harbor serves as home port for numerous commercial fishing vessels. The city is located on the Pacific coast in the upper northwestern part of California, about 20 miles (32 km) south of the Oregon border. Crescent City’s offshore geography makes it unusually susceptible to tsunamis. The area that is now known as Del Norte County was and still is inhabited by the Yurok (Klamath River Indians) and Tolowa Nations of indigenous peoples. The first European American to explore this land was pioneer Jedediah Smith in the early 19th century. He was the first European American to reach the area overland on foot in a time before the European Americans knew anything about such a distant territory. For him it was literally “Land’s End” — where the American continent ended at the Pacific Ocean. In 1855 Congress authorized the building of a lighthouse at “the battery point” (a high tide island on the coast of Crescent City) which is still functioning as a historical landmark. European explorers first visited the area now known as Crescent City by ship in the late-1820s. Europeans began moving to the area in the 1850s. Crescent City was incorporated as a city in 1854.